Adriana Caselotti – American actress, voice actress, and singer. 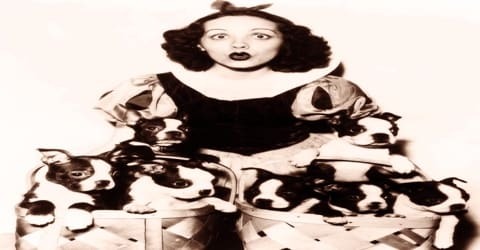 An American singer and a voice actor who was popularly known for voicing the character of ‘Snow White’, Adriana Caselotti was born on May 6, 1916, in Bridgeport, Connecticut, U.S. to an Italian American family. She was the voice of the title character of the first Walt Disney animated feature Snow White and the Seven Dwarfs, for which she was named as a Disney Legend in 1994, making her the first female voice actor so named. Caselotti was later inducted into the Hall of Fame of The Walt Disney Company, making her the first ever female voice actor to be named so. Over the course of her career, she also tried opera singing as well as recorded tracks from Snow White when the ‘Snow White Grotto’ was refurbished at Disneyland. Walt Disney never wanted to spoil the illusion of Snow White and thus wanted to keep the voice of Adriana exclusive to the character, hence he never let her work in any other films, not even for his own productions. Coming to her personal life, she had been married four times and was divorced at the time of her death in 1997. Adriana Caselotti was born on May 6, 1916, in Bridgeport, Connecticut, U.S. to an Italian American family. Her parents were of Italian descent. Her father Guido Caselotti was a music teacher and a vocal trainer by profession whiles her mother Maria Orefice, who was originally from Naples, was a singer in the Royal Opera Theatre of Rome. Her older sister, Louise, sang opera and gave voice lessons (for example, to Maria Callas, from 1946 to 1947). When Caselotti was seven years old, her family left Connecticut for Italy while her mother toured with an opera company. Caselotti was educated at an Italian convent, San Getulio, near Rome, while her mother performed in the opera. When her family returned to New York three years later, Caselotti relearned English and studied singing with her father. Adriana Caselotti was married four times. Her first marriage was in 1945 with Robert Chard, a theater ticket broker. Following their divorce, she got married to her second husband, actor Norval Mitchell in 1952. After the death of Norval in 1972, Adriana got married to a podiatrist, Dr. Joseph Dana Costigan, who died in 1982. Her last marriage was to retired postal employee Florian St. Pierre in 1989, which ended in a divorce. In the 1930s, Walt Disney was looking for a voice artist for his first feature ‘Snow White and the Seven Dwarfs’. After hearing one or two candidates, he came to know about Adriana from her father and was totally convinced that she was the one he was looking for. She went on to voice the title character Snow White and was paid an amount of $970 for her services, an amount that would be equivalent to around $16,000 in today’s date. The film became a major hit. Adriana Caselotti’s face may never ring a bell, but her voice is known wherever Walt Disney’s Snow White is shown. Blessed with a delicate but unusually clear and high voice, Caselotti was only 19 when she was chosen out 150 girls to portray the title character. Caselotti was not credited and had trouble finding new opportunities later in life. Jack Benny specifically mentioned that he had asked Disney for permission to use her on his radio show and was told, “I’m sorry, but that voice can’t be used anywhere. I don’t want to spoil the illusion of Snow White.” Caselotti had two more jobs in the film business. 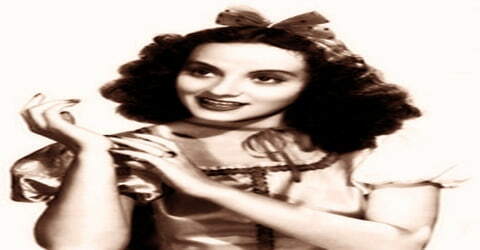 The first was an uncredited role in MGM’s The Wizard of Oz (1939); she provided the voice of Juliet during the Tin Man’s song, “If I Only Had a Heart”, speaking the line, “Wherefore art thou Romeo?”. In 1946, she had an uncredited role in Frank Capra’s It’s a Wonderful Life, singing in Martini’s bar as James Stewart was praying. Caselotti was under contract and Walt Disney owned her voice in legal terms. The contract prevented her from working in any other productions, be it films, television shows, or any kind of commercial/non-commercial public shows. She was not even allowed to work in any of Disney’s future movies as Walt Disney wanted to keep her voice exclusive to the character of Snow White. The contract became catastrophic for her as it literally ended her career before it could even flourish. While Disney enjoyed the profits from the Snow White franchise, Caselotti suffered immensely because of the restrictive nature of the contract. Caselotti appeared in several promotional spots for Snow White and the Seven Dwarfs, signing memorabilia. On November 22, 1972 (Thanksgiving Day), she guest-starred on an episode of The Julie Andrews Hour saluting the music of Walt Disney, singing “I’m Wishing” and “Someday My Prince Will Come” with Julie Andrews. She also made a guest appearance on the syndicated The Mike Douglas Show. Caselotti later wrote a how-to book, Do You Like to Sing?. Caselotti also frequently worked on radio. In 1987, she began making public appearances for Disney to promote the 50th-anniversary edition of Snow White. Later in life, she sold autographs and also made an attempt at an opera career (for example, Rigoletto). In the early 1990s, when the Snow White Grotto at Disneyland was refurbished, Caselotti re-recorded “I’m Wishing” for the Snow White Wishing Well at the age of 75. In 1994, she was named a Disney Legend. 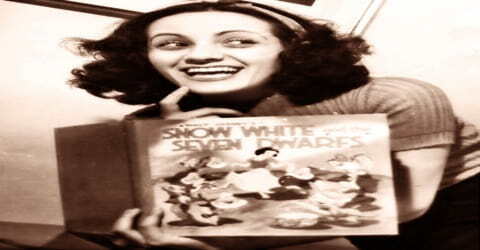 ‘Snow White and the Seven Dwarfs’ was the only credited work in Adriana Caselotti’s career. While it brought her widespread fame, it also effectively ended her career even before it began. She was made to sign a highly restrictive contract with Walt Disney prior to the release of the film which prohibited her from working in any other film or television production. She was not even allowed to appear on the radio. In 1994, Adriana Caselotti was inducted into the hall of fame of the Disney Universe, making her the first ever female voice artist to be named in the prestigious list. 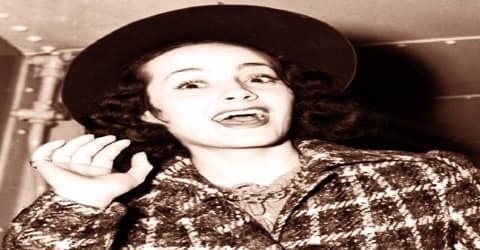 On January 18, 1997, Adriana Caselotti died of respiratory failure from lung cancer at her Los Angeles home. She was cremated and her ashes were scattered at Newport Beach, California.